What value does privacy hold in today’s hyper-connected world? In 2017, the office storage manufacturer Bisley asked Disegno Works to develop a public talk that would help the brand have a contemporary presence during the annual Salone del Mobile in Milan. Designed to present the brand’s key themes of security and storage within a modern context, the resulting talk invited leading designers and thinkers Jurgen Bey, Parsons & Charlesworth and the V&A’s Corinna Gardner to discuss privacy in a time of mass communication. 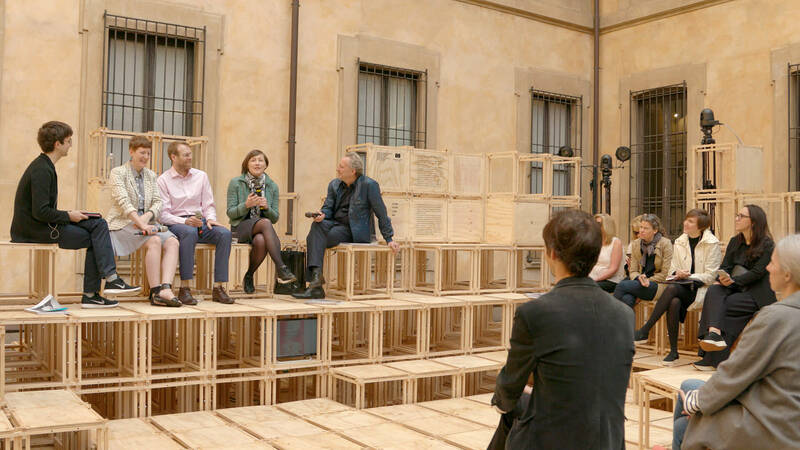 Hosted in the leading Palazzo Clerici venue, the talk was organised and curated by Disegno Works, as was all accompanying editorial content and the event’s social media strategy.